​The Tosa was originally bred specifically for dog fighting. Today they are commonly used to protect people and their property. Dog fighting has been present in Japan since the 14th century. The Tosa was developed in the Tosa region on the island of Shikoku in Japan during the late 1800s. 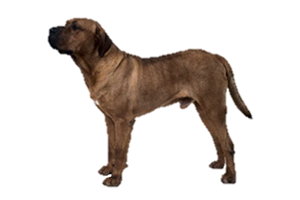 Japanese breeders wanted to create a “native” breed that could defeat European dogs. They began with the local Shikoku Inu and crossed it with imported breeds. These included Bull Terriers, old style Bulldogs, Mastiffs, St. Bernards, German Shorthaired Pointers and Great Danes. These massive dogs were formally dressed in ceremonial aprons and traditional costumes before a match. It is said that during its heyday (1924-1933) there were more than 5,000 Tosa breeders in Japan. Is the Tosa Right for You?